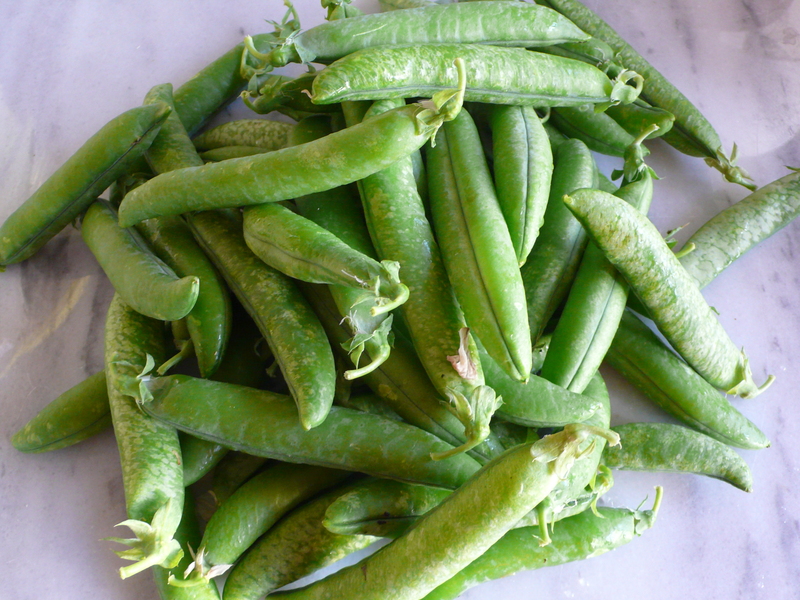 We are back in that short window of time when fresh peas are in season and after my pleasant encounter with them last year I have bought them twice now to make with pasta. 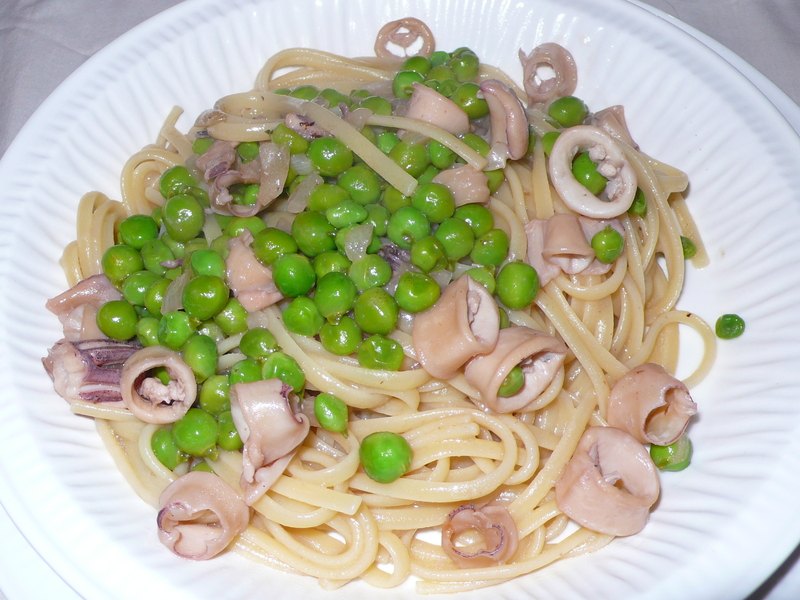 This first one I made with calamari, loving the asparagus pasta that I had made a few days before with little cuttlefish. I thought that the pairing would be comparable and was right. They were delicious together. 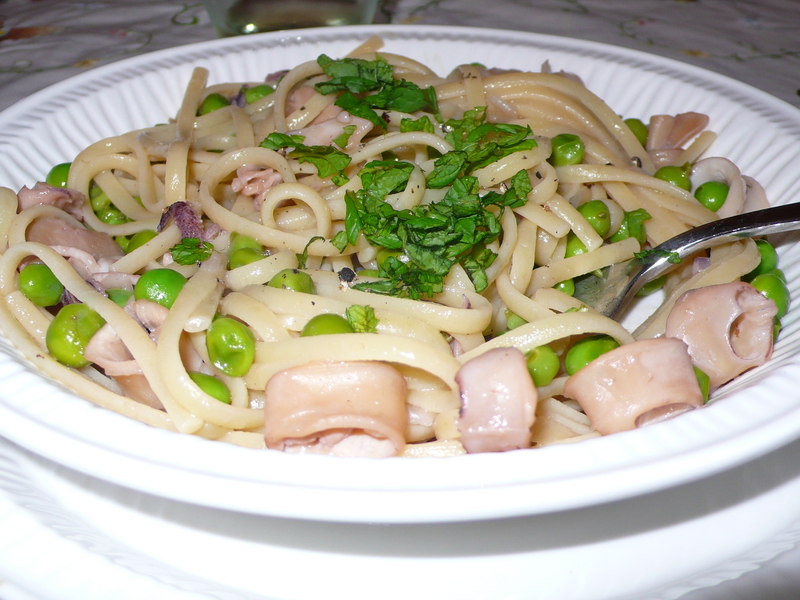 I got my daughter involved in popping all of the peas out of their pods and since peas are so naturally sweet, she enjoyed the pasta as much as we did, enjoying the fact that she had been part of the cooking process. 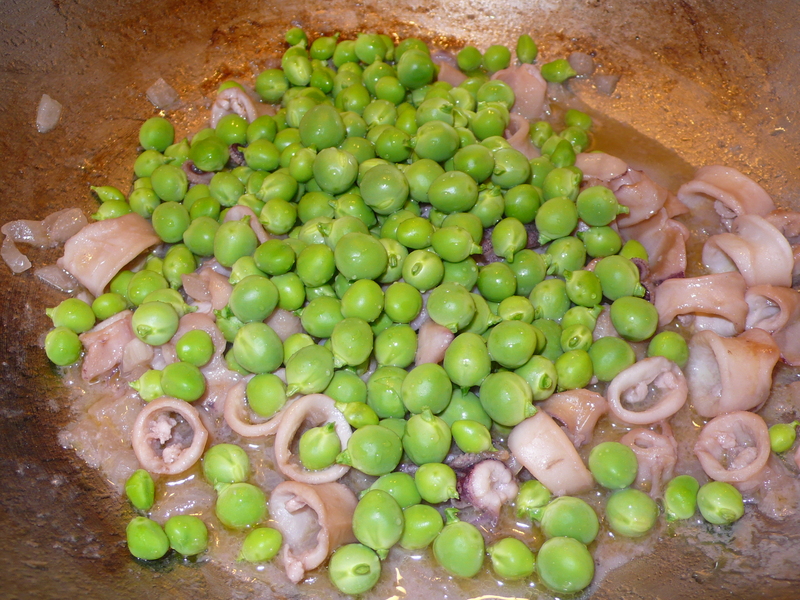 Shell the peas and clean the calamari, cutting them into little rings. 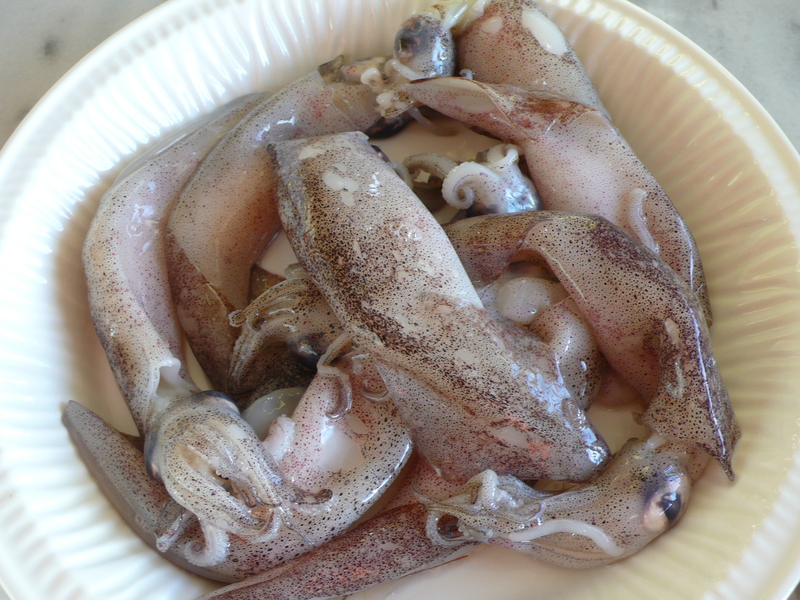 Heat oil in a wide saucepan over medium-high heat and add the garlic and the calamari and cook for a few minutes. 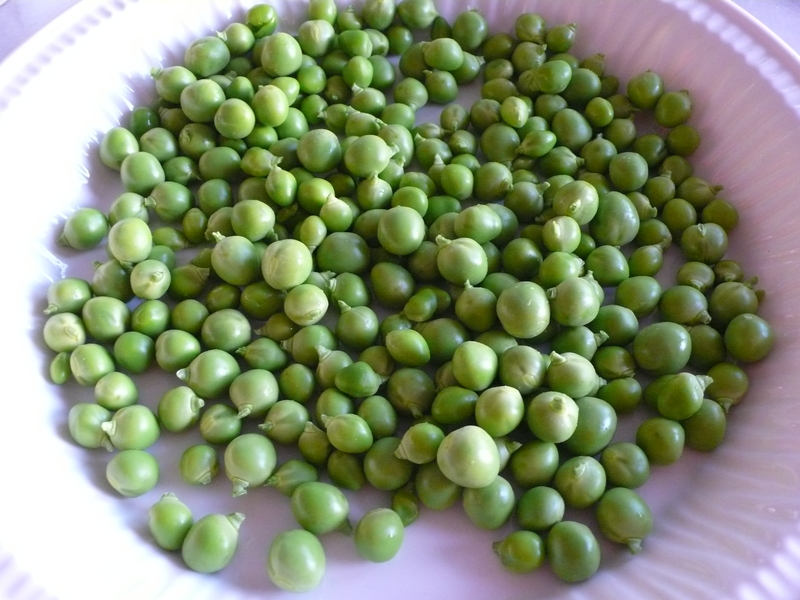 Add the peas, salt and pepper to taste and cook for another couple of minutes. Once the water starts to boil for the pasta add a small handful of salt to the water and bring to a rolling boil. 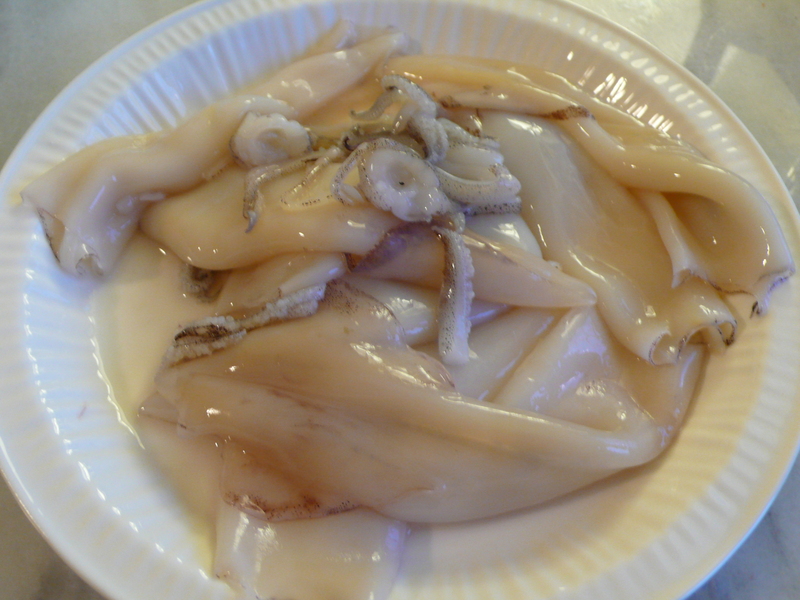 Add the linguini and cook until al dente. When the linguini are perfectly al dente, reserve a cup of the pasta water in case the linguini dries out when tossing it. Without shaking all of the water out of the colander pour the linguini into the pan and toss it over the flame with the sauce. This allows for the pasta to cook a little longer in the sauce and to absorb the flavor. Off the heat, sprinkle with fresh mint leaves. Serve immediately. ~ by italicious on April 13, 2013.